Robison has been your trusted partner for heating oil, biofuel, and home services for over 80 years. But Robison is more than just a heating oil delivery company. Robison is your trusted source for everything related to home comfort quality. Robison provides complete HVAC services to Westchester and Putnam Counties. Robison covers the entire gamut of home comfort needs, including air conditioning, heating, air cleaners, high or low humidity, drafts and system balancing. Robison installs the latest and greatest indoor HVAC solutions from all major manufacturers. Robison specializes in installation of high efficiency comfort systems that will keep you cool in the summer and warm in the winter. Is your central heating and air conditioning system ten years old or older? Do your heating and air conditioning bills seem to go up every year? It may be time to consider a new central heating and cooling system. A new HVAC System can reduce your energy bill by as much as 20 percent. Want to see more? Visit our Product Showroom. Your heating and air conditioning systems need regular maintenance and service to make sure they are running at peak efficiency. 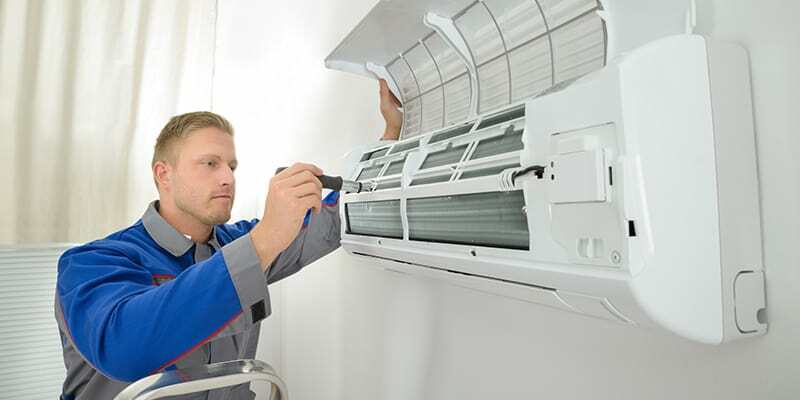 Regular heating and air conditioning maintenance is often required by manufacturers to maintain the equipment warranty; it also helps prevent mechanical problems before they become emergencies. Robison offers Gold Plan, Premium Plan, and Tune and Test Plan service contracts for heating oil customers. We also offer Premium and Tune and Test Plans for Natural Gas, Air Conditioning Systems, and Generators. For more information check out our service agreement page. Robison is a leader in Indoor Air Quality (IAQ) solutions. Indoor Air Quality solutions provide a way to keep your home free of dust, dander, bacteria, and pollutants. Robison carries a full line of high-efficiency Air Cleaners that can greatly reduce allergens in your home. Robison also has a full line of humidifiers and dehumidifiers to increase the comfort of your home. Robison is your trusted source for everything HVAC related. Whether you need to install a new Air Conditioner, a new Furnace, or need your existing HVAC system serviced or repaired, Robison is your HVAC solution for Westchester and Putnam counties. You can count on Robison to keep you comfortable all year round—contact us today to learn more.